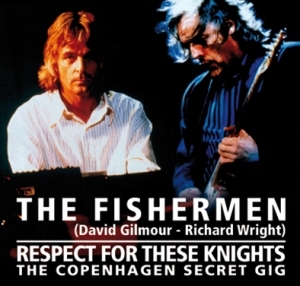 Godfather Records have presented us with quite a curious release in Respect For These Knights, in that it is essentially an album of Pink Floyd members doing cover songs during a secret gig in Copenhagen, Denmark after their regular performance at Gentofte Stadium during the “Momentary Lapse” tour, and as an added bonus included the tracks from the Syd Barrett tribute performed by the surviving members of the band. 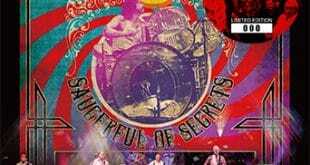 Throughout the course of the tour, David Gilmour, Richard Wright, and occasionally Nick Mason (along with the full cast of touring musicians) performed secret club gigs to blow off steam, have fun, and “jam” like in the early days. It is interesting to consider that both the early Floyd, and Gilmour’s previous band Joker’s Wild performed quite a few blues, RNB, and pop covers when approaching these side gigs as a listener now, as they provide a glimpse into the diverse musical backgrounds of the players. Personally, I’m quite sure that for the main Floyd men, it was also a liberation from the precisely structured tour – no lighting cues, click tracks, sequencing (etc.) 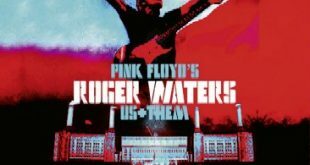 – instead chances to just “go off” which unquestionably eased some of the rigors of the road and soothed the pressure placed upon them by Roger Waters’ threats of legal action for continuing without him. Godfather have provided us with some incredibly insightful liner notes that I’ll reproduce here, detailing the history of these secret shows under the moniker The Fishermen: “The mega-tour following Pink Floyd’s rebirth (which began in September 1987 and extended through the summer of 1989), resulted in some very interesting side-trips into musical territories seldom explored by the group; on several occasions, the members of Pink Floyd slipped into local clubs after their primary concerts and delivered musical gems to a few unsuspecting, lucky attendees. Dubbed as “The Fishermen,” the Floyd members, undoubtedly inspired by the young musicians touring with them, along with the need to break from the monotony of their meticulously calculated, structured stadium shows, threw caution to the wind and embroiled themselves in fun, impassioned jams at these surprise appearances, with setlists running the gamut from Soul andRNB standards to timeless Rock classics.The first of these ghost shows took place on October 11th, 1987, at New York City’s World Club after Floyd played the second of three shows in East Rutherford, New Jersey (which we did not include here due to the poor sound quality of the mastertapes). The next surprise gigs took place in 1988 during the Australian leg of the tour. These included a show in January at the Round Midnight Club in King’s Cross, Sydney as well as two additional shows in February at the Corner Hotel in Richmond, Melbourne. The first Richmond gig featured guest appearances by Roy Buchanan and Vanetta Fields, one of Floyd’s backing vocalists during the 70s. At the second show, they performed “I Shot The Sheriff”, “Unchain My Heart”, “Superstition”, “Good Lovin’ Going Bad” and “Reeling In The Years” among others. Unfortunately, we did not have access to any documents of these Australian gigs and questionwhether any recordings even exist. While I’m not personally qualified to judge the quality of The Fishermen’s interpretations, what I can say is that the performances are very loose, laid back, and clearly the musicians are having a lot of fun. One of the vocalists was correct when she said “You’ll never see anything like THIS again!” to the surely stunned audience. Previously, this recording was available via the Pro-CDR release Atom Soul Brother (A-tera 024) and various fan-produced releases, but Godfather was correct in deeming this recording worthy of a silver pressing – it does sound fantastic, and so clear you can hear some of the onstage conversations calling out keys and so forth. I don’t think I could sum it up better myself…both of these documents are extremely valuable to Floyd fanatics, and sound good enough for casual listeners to find something worthy as well. That being said, don’t expect any deep psychedelic journeys here folks, as this is pretty much what it sounds like – a bar band doing covers, albeit involving musicians of the highest calibre. It is worth mentioning that this release is housed in the usual tri-fold packaging, with appropriate graphics, and the extremely professional layout we’ve all come to expect and respect from Godfather. They’ve also included a separate 4-panel insert with the information on the Barrett tribute. When all is said and done, this is another exciting silver debut from Godfather and while very little Floyd music is contained within, it does offer an entirely different perspective of these fantastic musicians – both the Floyd members and hired hands. Beyond that, the historical value, sound quality, and beautiful packaging certainly make Respect For These Knights worth looking into. As an aside, I have to commend Godfather for continuing to give us Floyd collectors something “new” instead of just rehashing past releases like most of the other labels (of course, those have their place too when they are actual upgrades). It’s always exciting to see what Godfather will come up with next! Cheers! The sound here is excellent -the bonus tracks are nice because of their historical significance. 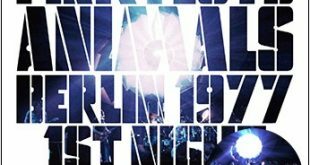 One thing that is not mentioned though is David Gilmour does not sing on any of the songs from Copenhagen (although he can be heard speaking a few times I think – is that him yelling about the PA? )That being said, it is a nice title to have. Just a minor correction here, but I just noticed that in the track listing, Track 7 is listed as “Satisfaction” instead of “Superstition”. 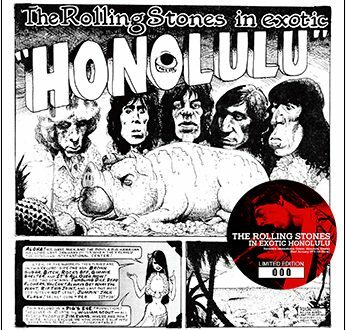 I don’t know how many different songs there might be that actually go by the title “Satisfaction”, but I’m 100% certain that Track 7 on this particular CD title is certainly not the legendary 1965 hit by the Rolling Stones, as surely we would have taken notice if it were! glad to know you enjoyed this title! As a motown fans ( and floyd fan, of course) i really appreciated this release, unusual but very tasteful thanks GODFATHERECORDS!! We keep on waiting for new releases soon…. I got this one in the middle of last week, and I certainly wasn’t disappointed with the packaging nor the sound quality – both are certainly great. Although I have to admit that I’m not a big fan of the Motown classics, esp. the song “Respect”, the bonus material is a rather nice addition to the ol’ collection. Thanks to everyone involved – incl. Godfather themselves & those who contributed to this particular page. If no one here minds this question, then what’s the approx. total playing time of this CD (minutes:seconds)? Thanks to anyone who could answer. Thanks for the very intriguing review. Although I don’t have much interest, if any at all, in most of the Copenhagen secret gig, the bonus tracks sure would be nice to add to the collection. i received my copy few days ago and i was stunned to hear this concert with such great sound, i heard it on a tape when this concert surfaced but , once again, godfather did an amazing job releasing it with a professional mastering and adding great bonus tracks too!! 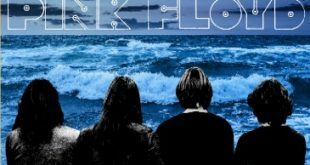 well ,as a floyd fanatic i wish i was there but i thank godfahter for letting me dream of it… excellent review however!! !